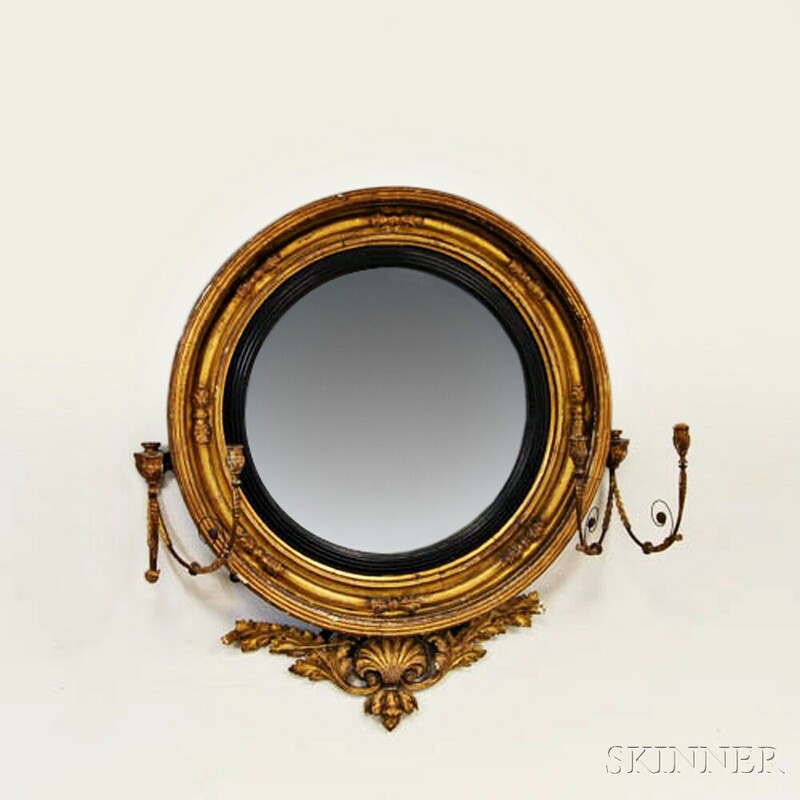 Regency Carved Gilt-gesso Girandole Mirror, England, early 19th century, (loss), ht. 45, wd. 41 in.